The projected path of Hurricane Matthew has forced Royal Caribbean to change the itinerary for two more cruise ships. 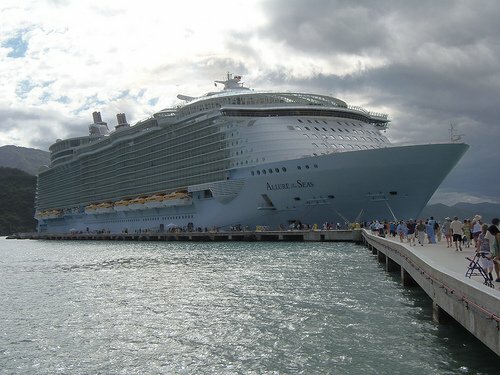 Cruise Critic is reporting changes to Allure of the Seas and Enchantment of the Seas due to this massive storm. Allure of the Seas will depart from Port Everglades as scheduled on October 2, but will change the order in which she visits her ports. Royal Caribbean changed the itinerary already for Adventure of the Seas and Allure of the Seas earlier this week to avoid the path of the storm that has become Hurricane Matthew.